Animated Film Will Warm the Entire Family’s Hearts! 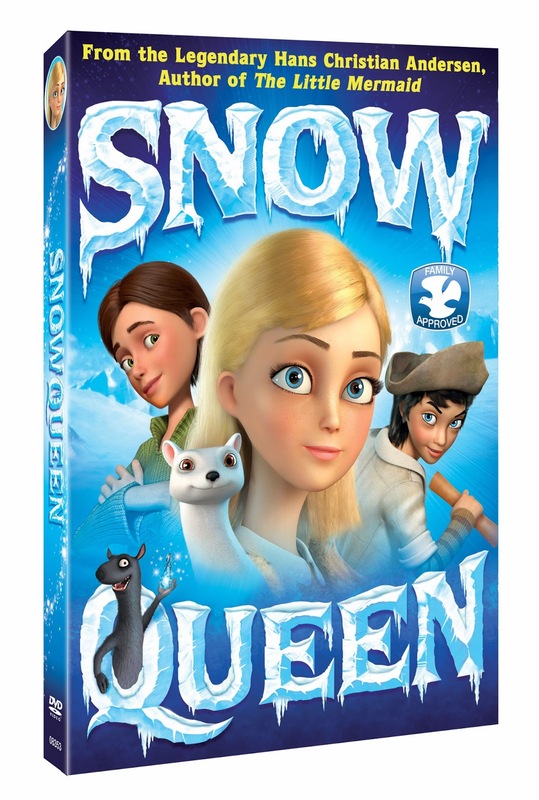 From award-winning producer Timur Bekmambetov (Universal Picture’s Wanted and Fox’s Abraham Lincoln: Vampire Hunter), comes The Snow Queen, an animated tale that will warm the hearts of the entire family! Based on the beloved fairytale by Hans Christian Anderson – author of such other memorable classics such as The Little Mermaid, Thumbelina, The Ugly Duckling and The Princess and the Pea – The Snow Queen has grossed more than $14 million to date in worldwide box office and a sequel is already in the works, with plans for a winter 2014 release. In a land far, far away, the wicked Snow Queen has blanketed the kingdom in ice, plotting to turn it into a frozen landscape and imprison its people in a never-ending winter sleep, with no light, joy or happiness and no free will. The only remaining obstacle to her evil plan is Vegard, a master glassmaker whose mirrors reflect not only appearances but reveal a person’s soul … So one day, the Queen’s cruel polar wind comes and takes him and his wife away forever. Kai – rumored to be the glassmaker’s son and to bear his father’s powers as a wizard – the boy is abducted and held captive in the palace. Now it is up to his sister, Gerda, to rescue him before it’s too late! The determined girl treks across the forbidding and frigid land, battling daunting obstacles and encountering new friends who help in her quest to set Kai free, defeat the Snow Queen and save the world from eternal frost. This is a great movie for the whole family this winter and makes a great movie for Family Movie Night!